Beloved yarrow- a medicine for the spiritual warrior of our times. Yarrow has long been known and used as a wound healer, by herbalists and warriors. Legend has it that Achilles himself used yarrow to heal the battle wounds of his comrades. And indeed it is remarkably good at quelling bleeding from a fresh wound, healing tissues, and as a pain relieving and anti microbial dressing for wounds. It also serves as an excellent poultice or ligament for bruising associated with sprains, strains and blows. It encourages blood to move out of where it pools or is stagnant, as well as moving fresh blood into areas that need improved circulation. Women often use it to modulate heavy menstrual bleeding and support healthy circulation and move stagnation in the uterine tissue. It is a prime remedy for colds and flus when there is a fever present. It stimulates the body to produce a healthy fever response, encourages sweating and combats infections internally as well. I use it primarily as a tea/ water based infusion for most purposes, but tincture of the fresh flowers and leaves is a good way to keep it on hand for first aid when tea is impractical. Fresh tincture is also excellent for menstrual flooding and acts quickly, often in formula with shepherds purse. The tincture and/or oil is my preferred way to apply it to sprains and bruises, rubbed gently over the area, or a soak with hot tea. 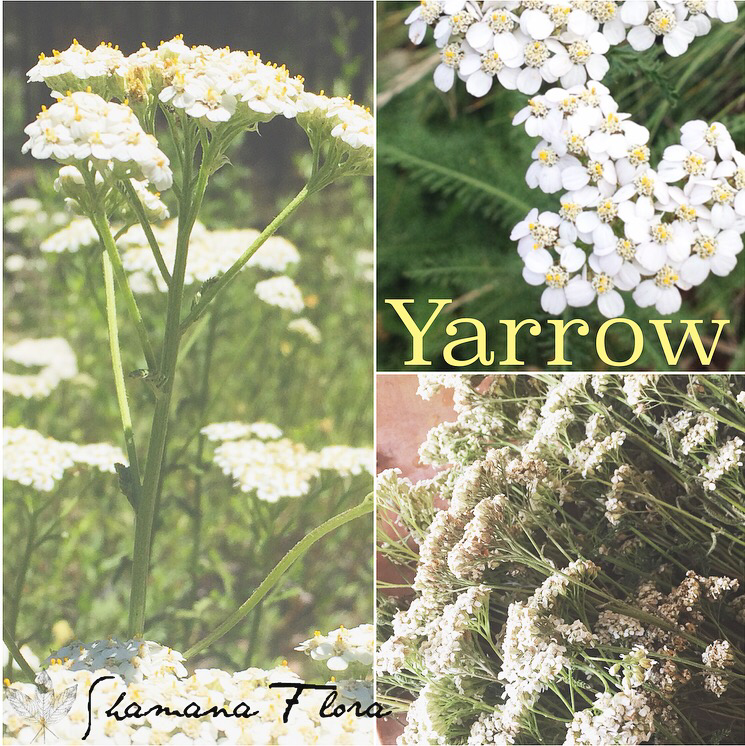 The spiritual and emotional essence of yarrow is one of protection, especially for the emotional field, for those who tend to have leaky energetic and emotional boundaries, and take on others emotions or feel drained by others emotional needs. Yarrow can be the healer of energetic emotional wounds that have left a lasting “energetic breach” where your emotional energy is “bleeding.” Often this shows up in how we get manipulated or sucked dry by others in our lives. Healing the leaky boundary and emotional wounds can help shift those patterns of &nbsp;draining interactions. Yarrow can be taken as an essence, planted around the home or office, or worn in a pouch on the body. I enjoyed reading this. Thank you for posting. Blessings for the new day!